Our Beginner to Blogger interview series gives personal finance bloggers a chance to share how they started their personal finance journey, what early obstacles or mistakes they needed to overcome, and how they’re still improving – even as an “expert” or thought leader. Today’s interview is Tim from Life for the Better! My name is Tim and I’m over at Life For The Better. My blog is focused on simplicity, frugality, minimalism, financial independence, relationships, military, and more. We focus on living a better life. I remember my dad talking to me about personal finances when I was in high school. He told me to save $30,000 by age 30 and I’d be a millionaire with compounding interest. I also heard the term “save 10% of your income for retirement,” so that’s what I did. As my curiosity increased, so did my knowledge. I wanted to set myself and future family up for the long haul. My greatest financial obstacle that I’ve faced was figuring out how to pay for college by myself. I ended up getting paid to go to college and came out with a positive net worth! I did this by joining the Air National Guard and they had 100% tuition coverage. I then received an allowance with the G.I. Bill for gas, groceries, rent, etc. I was also receiving a fulltime paycheck by working the night shift and then going to class during the day. I struggle with the tax side of the house. Learning about taxes and how to improve my tax bill just confuses me for some reason. I’d rather not go down that road at all. However, that’s the beauty! I get to continually have a lifelong journey of learning. To me, financial independence means having enough money from investments that I can do what I want with my time. I am free from money and money doesn’t control me. My quality of life has increased exponentially. Oftentimes, finances are the most stressful part of life – or at least high on the list. I have found myself worrying less and less and trusting the process. My relationships have also increased because I can focus on making memories instead of dealing with finances. This also relates to hobbies and enjoying life. Instead of saying I can’t afford something, I say I can’t afford NOT to do something. I didn’t expect my love for finances to grow even more on my pursuit of financial independence. I continue to learn every day and that challenges me to be a better person. Start investing now. Or at least make it your mission to pay off all debt as soon as possible. Learn about different financial terms and become educated while you have time on your side. Don’t wait and regret not starting sooner because you didn’t know what you were doing. Learn now. 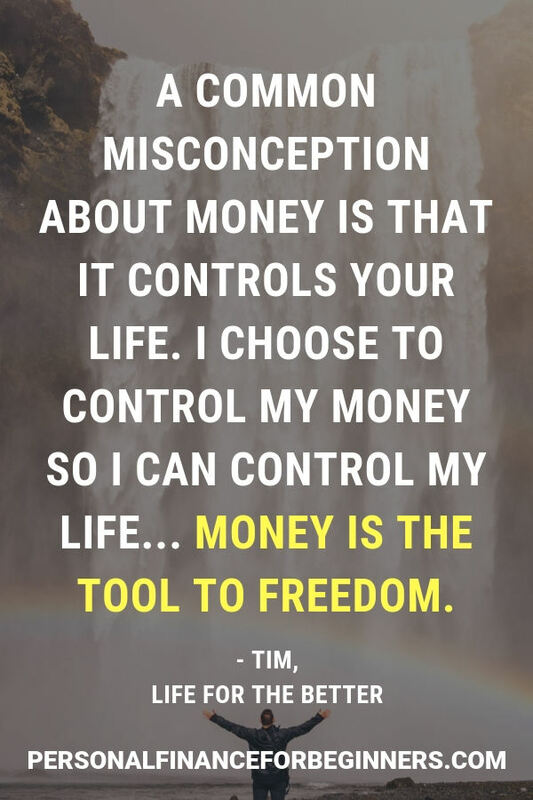 A common misconception about money is that it controls your life. I choose to control my money so I can control my life. Money doesn’t have to be a scary thing that gets you into debt and you’re stuck repaying it for eternity. Money is the tool to freedom. In the last three years, I’ve taken a look at myself and said who do I want to be in this world. That’s when I knew I wanted to continue helping others in life. I have a passion for that and I could use money as a tool for helping. I buckled down and got my bachelors degree in three years and earned a few promotions at work. This helped my finances out tremendously and now I’m sharing my story with others. Does travel count as an item? That’s what I spend most of my money on. As well as experiences. I’ve never been a materialistic individual so I’ve spent it on making memories. There are so many good personal finance books out there. I’d have to say Your Money Or Your Life. Moreso because it gets one to think about what they truly want out of life. Money or freedom… One doesn’t have to be controlled by money. My decision to start a blog was inspired by hearing others’ stories. 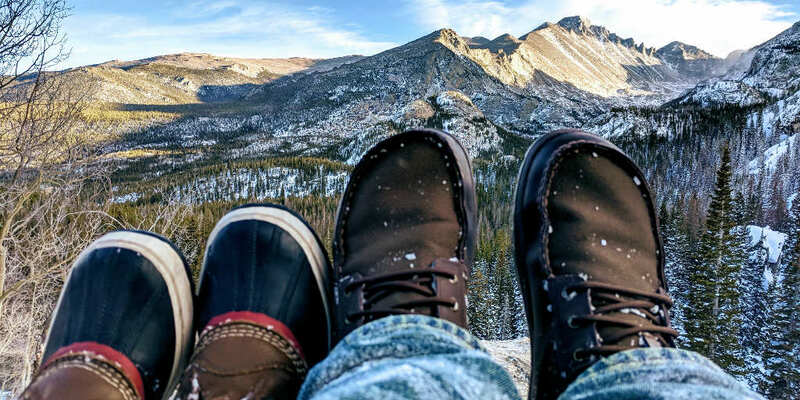 I said to myself that I have a unique enough story of joining the military and on the pursuit of financial independence that I’d like to help others as well. Hopefully, they can learn from me. My experience has been amazing so far. Before blogging, I’d listen and read about FI but being involved with the community directly reaffirms why I want to be FI. It’s an accountability measure. I’d create a brand new post and delete the rest! Can I do that? In it, I would simply state to be kind to one another. Listen to what they have to say. Truly listen. Do random acts of kindness any chance you get. How cool would it be to have seven billion sets of hands working together versus a pair of hands working for themselves? I’d also say that if you want control of your life, control your money. Start taking action for your own life and don’t wait. You’ll look back and say why didn’t I start sooner if you don’t start today. Finally, I’d leave everyone with how do you want to be remembered in this life? Do you want to be on your death bed wishing you’d done something fun and exciting and lived life to the fullest? Go enjoy life around you and help others any chance you can. Not that I can think of. Thank you for this interview! It was a lot of fun to reflect on my answers. You asked great questions along the way!